PILAR ALESSANDRA is the director of the popular writing program “On The Page” and author of “The Coffee Break Screenwriter.” A sought-after teacher and lecturer, she’s traveled the world teaching screenwriting, pitching and story analysis. 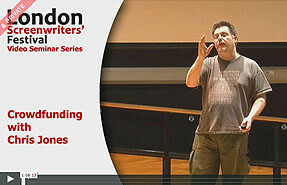 As a consultant, she’s helped thousands of writers create, refine and sell their scripts. Her students and clients have sold to Disney, DreamWorks, Warner Brothers and Sony and have won prestigious competitions, including the Austin Film Festival and Nicholl Fellowship. Pilar jump-started her career in film as a script reader for Amblin Entertainment. With the formation of DreamWorks, she became Senior Story Analyst and a reader liaison between the studio and Robert Zemeckis’s company ImageMovers. Her expert script analysis was also sought out by The Robert Evans Company, Cineville Entertainment, Handprint Entertainment and Saturday Night Live Studios. Work at Interscope Communications led her to a position as Senior Story Analyst for Scott Kroopf’s production company Radar Pictures. 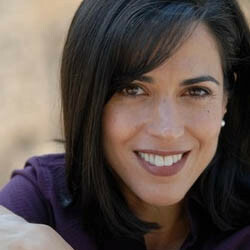 Pilar was later bitten by the “teaching bug” while teaching screenwriting and story analysis at the UCLA Writers’ Program. In 2001, she started her own company “On the Page,” and in 2004 opened the On the Page Writers Studio in Sherman Oaks, California. In the interest of expanding access to her teaching tools, Pilar created the instructional DVD “On the Page” and presents the weekly “On the Page Podcast” with guests from within the industry. Recently, Pilar was listed as one of LA Weekly’s top 100 people in their “Best of LA People” issue.